Over the years I have tried to share my Easter Basket Ideas with you all. This year I decided one ultimate list of ideas was in order. Year to year as the kids grow and change interests their baskets change as well. All of these ideas are non food and vary in price. 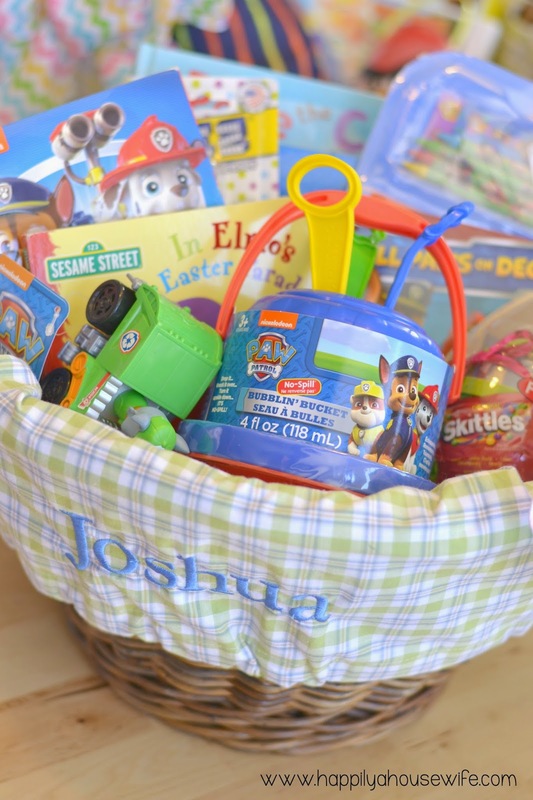 We do add some candy to the kids baskets, so just be sure to include their favorites! We let them have some on Easter and then put the rest in a Ziplock Bag, label it with the kids names and then they can pick out a piece or two when we have baseball so I am not constantly buying from the snack bar! Starting off, our kids have had the Pottery Barn Baskets for Years and I love them. I decided when they were babies I wanted to invest in Easter Baskets and Stockings that would last their entire childhood. We have the Sabrina Basket and I did it in natural because I figured white would show wear over the years. There are so many adorable liners to go with them also! There are so many functional baby items you can put in an Easter Basket, and some fun toys and books as well. I love using Easter to stock up on swim suits and summer essentials as well. Preschoolers are at such a fun age for these types of small gifts. Some of my favorite things include shoes, movies, toys for outside with warmer months approaching, and cars or trains. PlayDoh – In Easter Eggs! I am finding as my kids get older, it is getting more difficult to not just put in a bunch of candy and call it a day. Here is a sneak peek at my kids baskets this year, and ideas as they continue to get older. On years where I have felt like I don’t know where to start, I try to do a theme basket. One year I did a baseball basket for our son, another year a basket that was all Thomas The Train. Lastly here is a look at my kids baskets so far. I am not done yet, but am happy with how prepared I feel for the upcoming holiday! I hope you find this list helpful as you prepare for Easter. While I provided Amazon Links to most items (that is my preferred way to shop… hello no crazy kids in the store, no peaking eyes, AND free shipping with PRIME!) these can easily found at most stores including the dollar store! 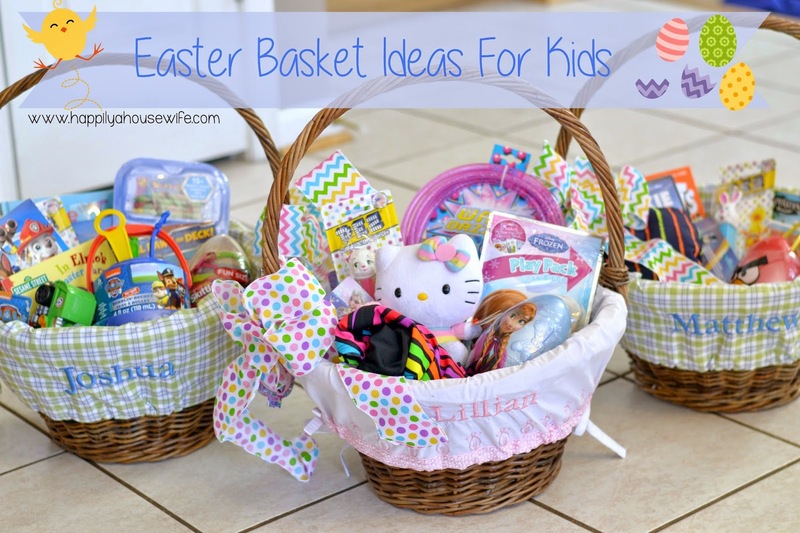 What are your go to items for an Easter Basket?? Thanks for the ideas! I like the idea to put a dvd in a basket. My oldest has a ton of the diary of the wimpy kid books so I think I’ll threw in a couple of the movies. Also jump ropes would be fun to add as well! Thanks for putting this list idea. I usually do an “outside” themed basket for my son for Easter. I stock him up on kites, bubbles, chalk etc. His birthday is at the end of May sinc it’s so close I have a hard time finding stuff to get.